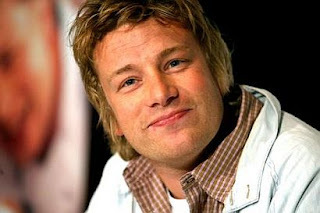 I was an early fan of Jamie Oliver, way back when he was known as the Naked Chef. Sadly, he earned this name not because he cooked sans clothing, but because he cooked very simple, "naked" food. For many of us, we spend our 20s and early 30s struggling to find our true identity and purpose. I think Jamie would agree he's been through the same process, albeit he's been very successful hosting a range of cooking shows, publishing several cookbooks under a variety of monikers, and opened some restaurants. But now, he's all grown up! He's finally found his calling. And for that, he was named the 2010 TED winner. Obesity intervention is something I'm proud to say I've been entrenched in for the past 8 years. I've had the great fortune and honor to work with amazing companies and doctors focused on finding viable solutions for people suffering from obesity. It's a complicated disease — not to mention deadly and expensive. It's an epidemic that threatens to bankrupt our nation. And many countries around the world are in teetering on the same precipice. The thing is, though, we (that's the collective "we") are responsible for this. The good news is we can fix it. I'm not going to pretend I don't understand the obstacles in front of us, but with efforts like Jamie Oliver's Food Revolution and the recognition this program has received, I feel like there's real hope. Yes, he's a talented chef with lots of swagger, but what he's teaching doesn't require a culinary degree . . . or a cute accent. The school kids he met in Huntington, WV (and I'm not picking on WV! I think they represent mainstream America) couldn't identify a fresh tomato. Surprisingly, they couldn't even identify a potato. I guess potatoes only come sliced and fried as far as they're concerned. It's one thing not to be able to identify states or countries on a map, but truly horrifying and tragic to me that kids don't know what food is. I mean you need it to stay alive. And yet they have no concept of what it looks like, let alone what your body needs to be healthy or how to prepare it. Jamie's mission is simple: To create a strong, sustainable movement to educate every child about food, inspire families to cook again, and empower people everywhere to fight obesity. I'm touched at the deepest level by this. Eating is fundamental to life — and pleasure. Although the task is daunting, I think the Naked Chef is up for the battle. He's got a plan but it requires change. And change is hard. But if we feel an emotional connection to the motivation for change, our chances for success are great. We've always been a world leader. Today, we're currently the leader in the wrong category: Percent of our population that's obese. As a nation, we now have the opportunity to become a world leader in overcoming obesity. Jamie's mission dovetails with Michelle Obama's Let's Move, an initiative to fight childhood obesity. But any journey begins with a single step. And it often begins at home. 4. Post your ideas on this blog so we can all benefit!